Crystal (Sphatic) is the most favourite material of Lord Venus who is said to be the loving brother of Goddess Laxmi. 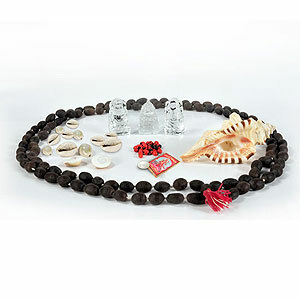 Puja with Crystal (Sphatic) Pujan Samagri is offered to please and appease Venus in order to minimise and reduce its malefic and evil effects. Venus is the lord of material bliss and conjugal happiness, so it is essential to worship and appease Venus and it is no better way to please him than the pujan with Crystal (Sphatic) Pujan Samagri. Crystal (Sphatic) Pujan Samagri consists of Crystal (Sphatic) Laxmi Ganesh, Crystal (Sphatic) Sri Yantra and other valuable things. On the one hand the worship of Crystal (Sphatic) goddess Laxmi bestows upon the worshipper with immense wealth, progress in business and prosperity while the worship of Vighnaharta Ganesh protects the native from all impending dangers and enemies. The pujan of Crystal (Sphatic) Laxmi Ganesh and Crystal (Sphatic) Sri Yantra is specifically beneficial for the persons having Cancer, Taurus and Libra rashis. Besides that it gives wonderful results to those persons also whose Moon or Venus Mahadasha or Antardasha is running. 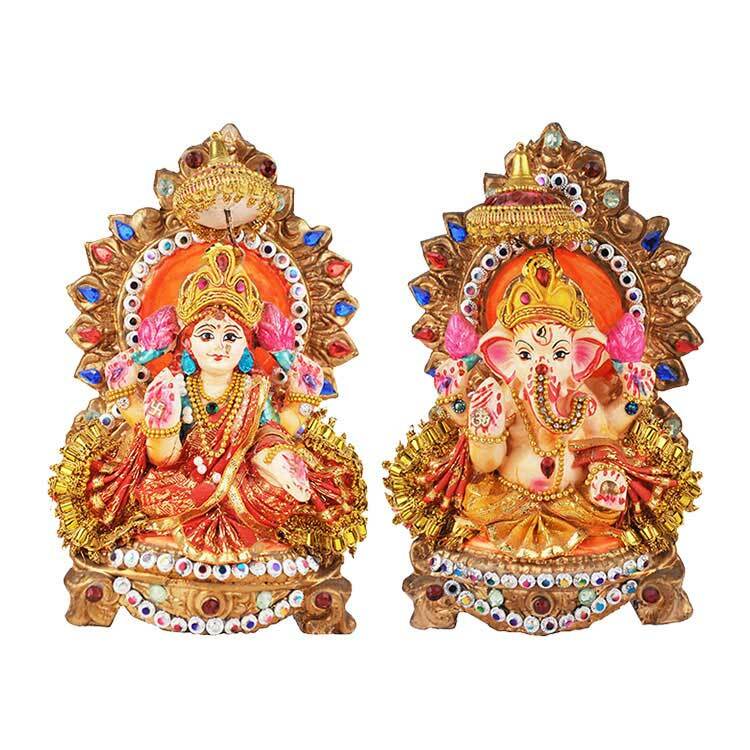 Goddess Laxmi is said to be the Goddess of wealth and prosperity. If one succeeds in appeasing Laxmi one is equipped with all comforts of life and attains wealth and finances in abundance. All sorts of pleasures and happiness are attained. Everybody aspires to get her blessings. Life becomes easier with her blessings. Crystal (Sphatic) Laxmi in itself is a blessing to the devotees of goddess Laxmi. She should be worshipped especially on the auspicious occasion of Hindu festival Diwali. One can not accomplish any Siddhi without the blessings of Lord Ganesha. Therefore, it is in our tradition that Lord Ganesha is worshipped in the beginning. Lord Ganesha is the Lord of obstacles, Riddhi (wealth), Siddhi (spiritual up gradation) and Buddhi (wisdom). 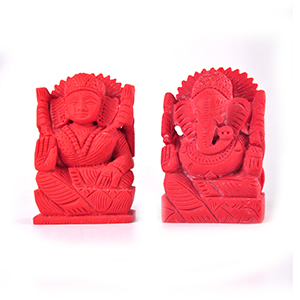 So everybody worships Lord Ganesha before starting any new venture in order to accomplish success without any obstacle. 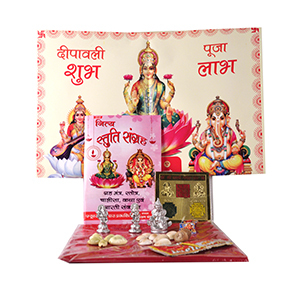 By worshipping Lord Ganesha regularly one becomes successful, intelligent and wealthy. Ganesha is the only God after Goddess Srividya which can give you spiritual as well as materialistic success. Idol of Ganesha chiseled on crystal is loved by all devotees of Lord Ganesha. It is believed that one can worship Srividya on the Sriyantra made of Sphatic (Crystal) throughout his life. To attain maximum financial success and perfection in every sphere of life Srividya and Sriyantra are the most beneficial and effective. Srividya itself is renowned as Srilalitamahatripursundri, Rajarajeshvari, Bala, Panchdashi and Shodashi. Before the worship of Srividya it is necessary to understand Sriyantra. So many devotees got wealth after their continuous recitation of Srisooktam with utmost devotion before this Sriyantra. 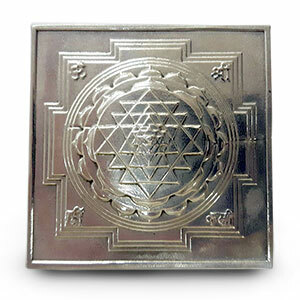 Sriyantra is regarded as the supreme yantra. It is highly eye catching and one of the most dynamic of all yantras. The Crystal (Sphatic) Sriyantra is regarded as being highly effective because not only it is made of pure, natural Crystal (Sphatic) stone but it is also a pyramidal three dimensional representation of the cosmos. These three factors make the Crystal (Sphatic) Sriyantra very effective in balancing the positive and negative cosmic rays present in the universe.